The unexpected, and immediate departure of Steven Sinofsky from Microsoft caused an uproar in technology. 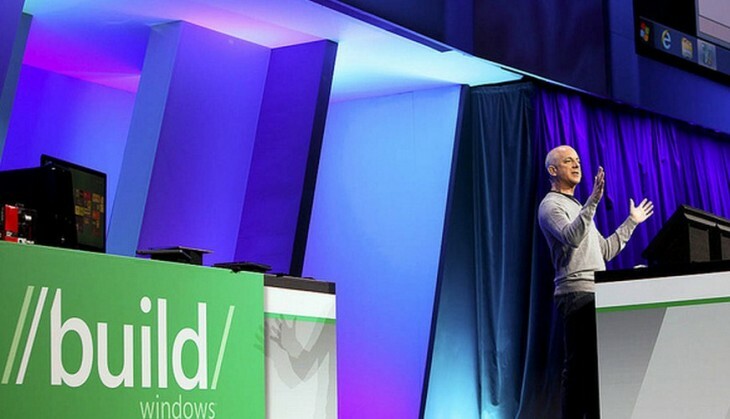 TNW, among many others, viewed Steve Sinofsky as an obvious candidate to ascend to Microsoft’s CEO role in time. Today, he is as gone as BOB and Clippy and Kin, fading into the past as quickly as whoever it was that ran Vista. Now, for some simple, approximate math. Taking the firm’s current market valuation, bumping it up by 3%, and subtracting its current figure yields us a figure of just under $7 billion. That’s the day one cost to Microsoft for losing its Windows head. The lack of steep decline can likely be attributed to the fact that Microsoft had a firm, and competent leadership team in place to replace the outgoing H.M.S SS. And that one of his closest associates has taken the reins helps as well. It’s more than worth noting that when Apple lost – fired – its executive Scott Forstall, the company’s stock did not drop as Microsoft’s has. The reason for that difference would make an excellent parlor game, but the simplest explanation is that Forstall is simply viewed as less key to Apple than Sinofsky was for Microsoft. My gut check is that that is correct. Alright Microsoft, who is left in your offices who will think the big thoughts and run the big risks? You’ve lost both Ozzy and Sinofsky. That makes me worry.